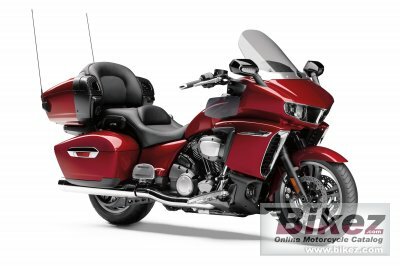 2018 Yamaha Star Venture Transcontinental. Picture credits - Yamaha. Submit more pictures. Riders that step up to the Star Venture Transcontinental Option Package benefit from a range of options, with enhanced infotainment features including GPS navigation, SiriusXM�, additional speakers and Yamaha�s exclusive Dual Zone audio control. Standard LED fog lights, additional onboard storage and an alarmed security system round out the package. Price as new (MSRP): US$ 26999. Prices depend on country, taxes, accessories, etc. Ask questions Join the 18 Yamaha Star Venture Transcontinental discussion group or the general Yamaha discussion group. Bikez has discussion forums for every bike. View comments, questions and answers at the 2018 Yamaha Star Venture Transcontinental discussion group. You can sign up for e-mail notifications when other riders answer you. If you have extensive experience with the MC, please send us a review. If you consider buying this bike, you should view the list of related motorbikes Look at photos. Compare technical specs. And check out the rating of the bike's engine performance, reliability, repair costs, etc. You can compare the rating with other bikes.